Polyvinyl chloride, or more commonly known as PVC, is one of the most commonly used and widely commercialized synthetic polymers. It is used for the construction of pipes and connectors, as bending fluid transportation vessels and as extensions for plumbing purposes. 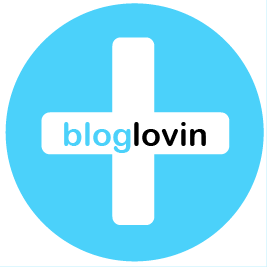 But what if PVCs were used in a much more protective and multilayered purpose? Such is a question that is answered by Donald Jacobson, an innovative man who crafts new materials from many other compounds and components so that they can serve other purposes. Donald thought that though PVC is very cheap, exceptionally durable, and readily available in any place, it’s very flexible when it reaches beyond the margin of a foot’s length. Jacobson aimed to make PVCs more effective at supporting a device or machine by taking advantage of the material’s strengths and capability to be a firm material for any occasion. He was able to design and construct a pretty effective connecting module that not only supports a beam, but also ensures the overall sturdiness of the entire construct itself. 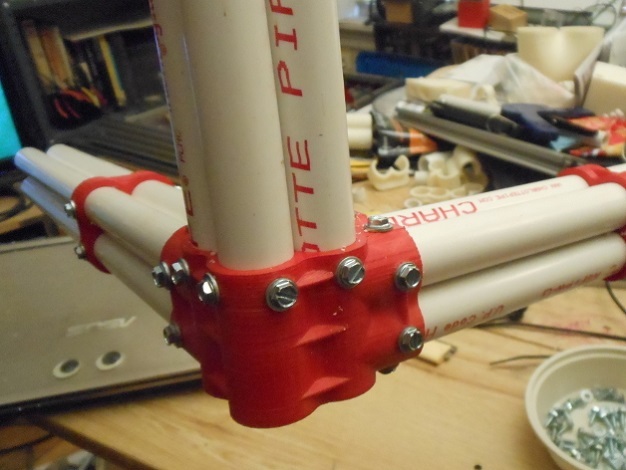 Using 3D printing technology and a hefty imagination, Jacobson has turned the ordinary PVC into a revolutionary connecting device that is lightweight yet durable, and cheap yet safe-to-use. 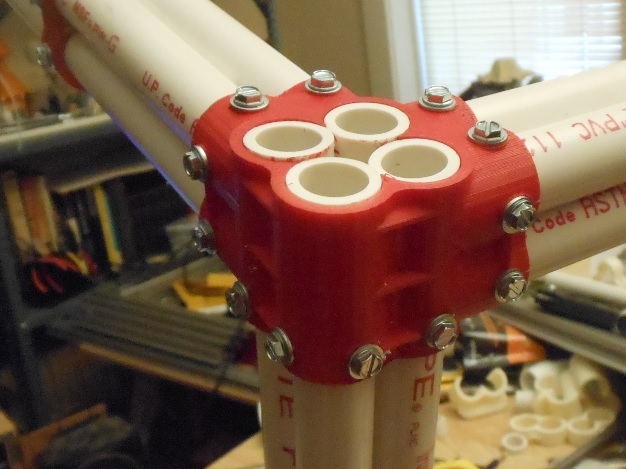 His designs for the corner connectors were more geared toward the more efficient, if not excessive, use of PVC pipes. 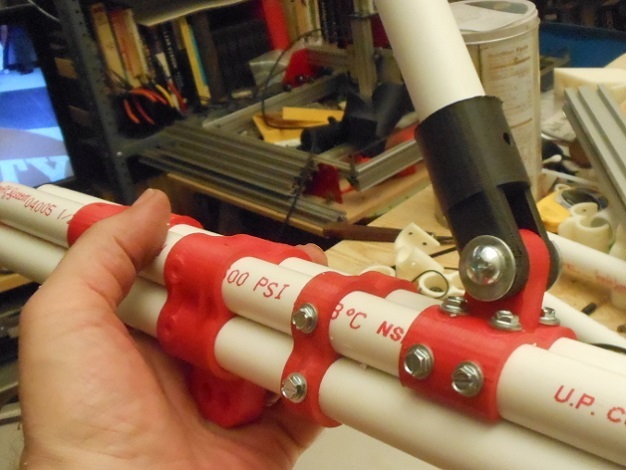 He was able to craft a box shaped piece of equipment using the PVC connectors that he had printed and a bundle of four pipes. Individually, these pipes would just flop or lose their supportive strength, but bundled up into four then these things become some of the sturdiest foundations around. Using the innovative corner connectors, Jacobson was able to piece together many bundles to create the box-type object. It is very dependable and so resilient. The possibilities for many other uses for the corner connectors are endless. One could be able to craft a table or a support beam with such a material. It is waterproof and very light, so people won’t worry about decay or damage to objects made with this material. PVC is now gaining ground in the furniture-making business. It saves wood from being chopped into household components, and it provides a very convenient alternative for the usual things made of wood. It doesn’t give in to the dangers of water exposure, it ensures a lasting capability and it gives more options for customizability, because these PVC creations are just connected and they could be repurposed or reassembled with ease. Jacobson wants to help people and the economy by providing affordable materials, easy-to-assemble components, and readily available contraptions. He created a means for people to craft their own objects to their heart’s content. It was this desire to help improve people’s lives that helped this man create great innovations. He has made lots of contributions to the world of crafts and constructions. With imagination, perseverance, or even a 3D printer, anyone can be a great contributor to the advancement of human living. 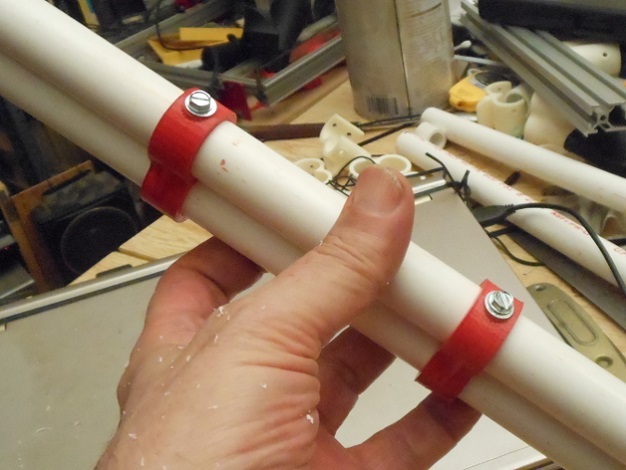 After all, Donald Jacobson has made it with something as common as PVC. 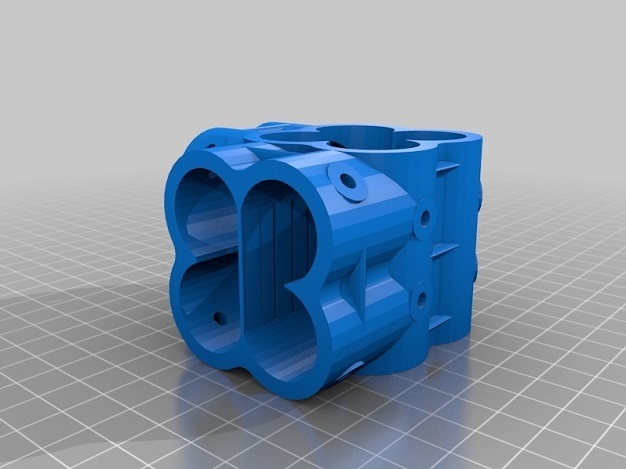 You can find more details about PVC connectors on Thingiverse. 3D Printing is expanding, but can it grow into something bigger than just the technology for professionals?